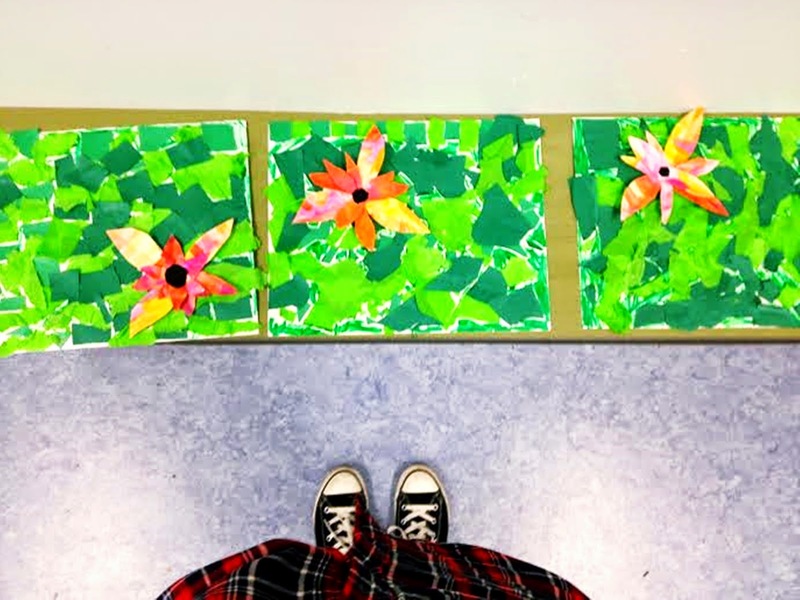 We worked on lily pad collages in art class...the kids made beautiful pieces! Love the "art is for everybody" sign! That final photo of the child's feet looking over their artwork is really cool. It tells a great story.